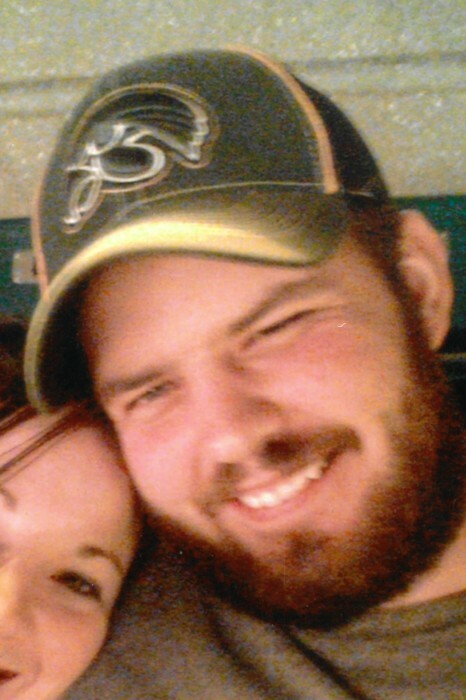 Ross Wilson, age 28, of Cresco, IA, died Friday January 25, 2019, as a result of a snowmobiling accident. A funeral service will be held 1:00 pm on Saturday, February 2, 2019, at Burr Oak Lutheran Church, 2358 360th St, Decorah, IA, with Pastor Matt Larson officiating. Burial will be in the Burr Oak Cemetery. Visitation will be 4:00 to 8:00 pm, Friday February 1st, 2019, at Hindt-Hudek Funeral Home in Cresco, and will continue one hour prior to the service on Saturday at the church. Ross Michael Wilson was born on February 8th, 1990, son of Michael and Connie (Vine) Wilson in Decorah, IA. Ross was baptized on April 15th, 1990 and confirmed on October 31st, 2004 at Immanuel Lutheran Church in Cresco. He was a 2008 graduate from Crestwood High School, and went on to earn his Commercial-Residential Electrician Diploma from NICC in Calmar. Ross began his career at Stanton Electric in New Hampton in 2011 until November 2012, when he started working at Bob’s Electric in Cresco. He truly enjoyed being an electrician and his work family meant a lot to him. In March of 2014 Ross was introduced to and started talking with Ashley Colsch. They went on their first date in May of 2014. That June, Ross made it official by asking Ashley to be his girlfriend. They moved in together on May 10th, 2015, and bought their first home together in December 2017. Ross enjoyed home remodeling projects to create the perfect space for Ashley and their puppy Willow. Ross WAS planning on proposing. He had SECRETLY purchased a ring and was waiting for the right time to ask Ashley’s dad and make her his forever love. Simply put Ross was a good man. Ross was the type of man that would give anyone the “shirt off his back.” He often gave up his free time on the weekend to help family and friends with different projects. He could be quiet and reserved but had hilarious one-liners. He was an avid Iowa Hawkeyes Football, Chicago Cubs, and Minnesota Vikings fan. He enjoyed playing any kind of card game, snowmobiling, going to the races, and bowling. Ross just recently became a member of the Driftrunners Snowmobile Club. Most of all Ross liked having a cold drink in his hand while sitting around a bonfire with his family and friends. Ross is survived by his significant other Ashley Colsch of Cresco; dad Michael “Mike” Wilson of Cresco; sisters Megan (Shawn) Merkel of Spring Valley, MN, and Leigh (Dustin) Myers of Cresco; 4 nephews Connor and Spencer Merkel, Joel Myers, and Carter Colsch; niece Avery Colsch; maternal grandmother Vivian Vine of Mabel, MN; Ashley’s parents Matthew L. and Darci Colsch of Monona, IA; Ashley’s brothers Matthew D. Colsch and Christopher (Aleesa) Colsch all of Monona, IA; Ashley’s paternal grandparents Tom and Maggie Jones of Castalia, IA; Ashley’s maternal grandfather Arlis White Sr. of St. Olaf, IA; his dogs Duke and Willow; and many aunts, uncles, cousins, and friends. He is preceded in death by his mom Connie Wilson on January 27th, 2009, maternal grandfather Darrell Vine, paternal grandparents Gerald A. and Evelyn Wilson, his uncle Larry Wilson and Ashley’s maternal grandmother Rebecca White in 2015.